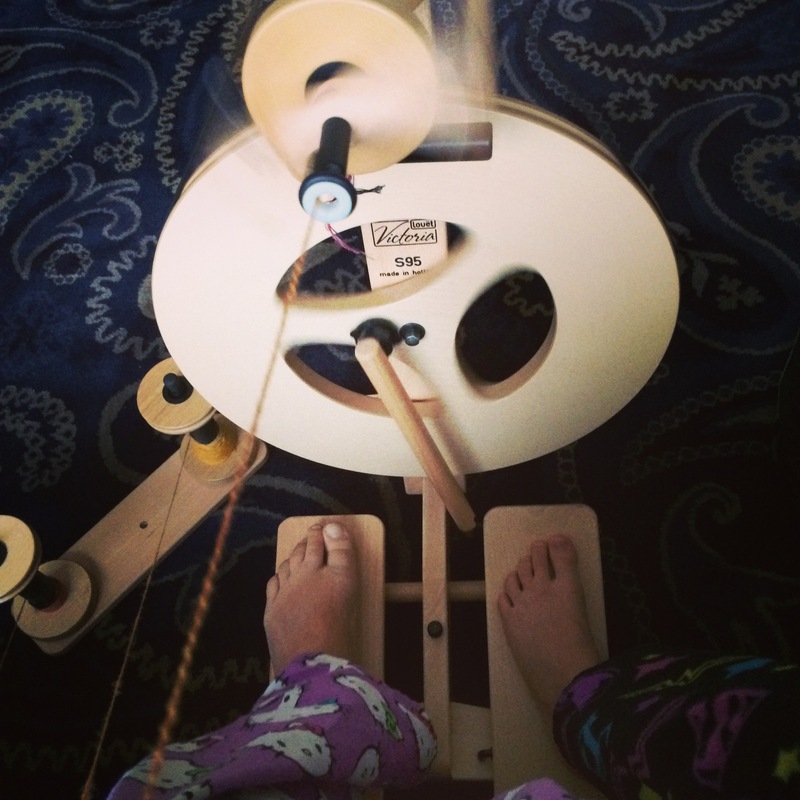 Last night I started one of my last three goal-oriented spinning projects. I started with this bump of Merino. I divided it into two bumps. Half! On the first try! 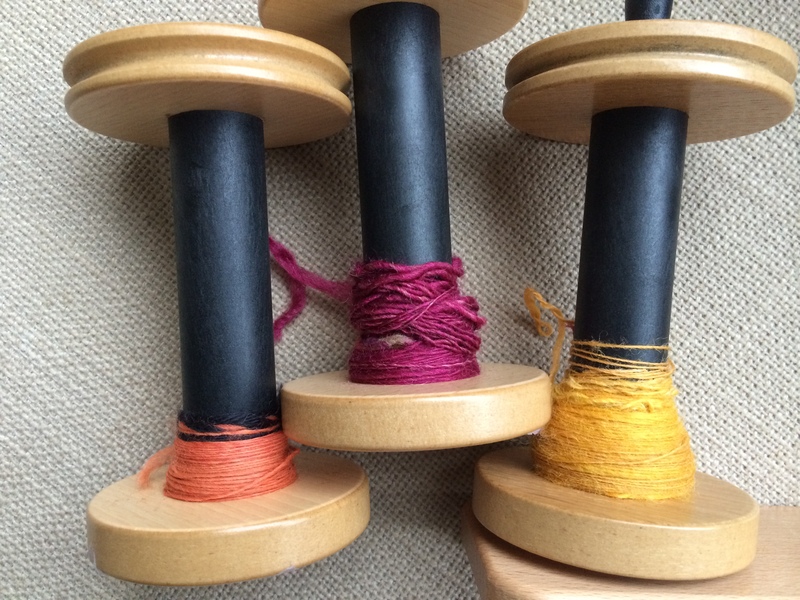 Then I realized that before I could spin, I needed to take care of leftover singles on my bobbins! I decided to ply them together, with the gold being the main color of one ply, and the others as… the other ply. I ended up having to use lots of little bits of leftover singles, so it’s going to be a Crazy Yarn! 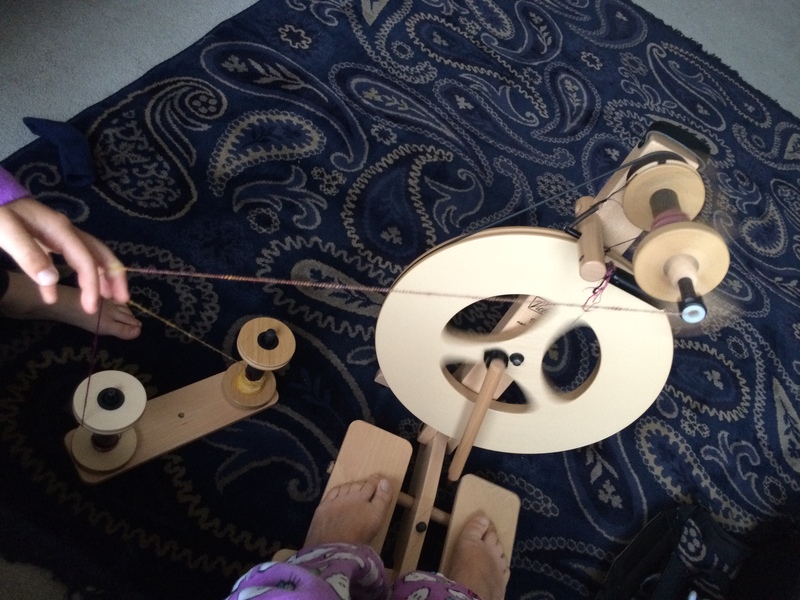 It turned out that someone had trouble staying in bed last night and ended up getting to help Mommy with some plying. 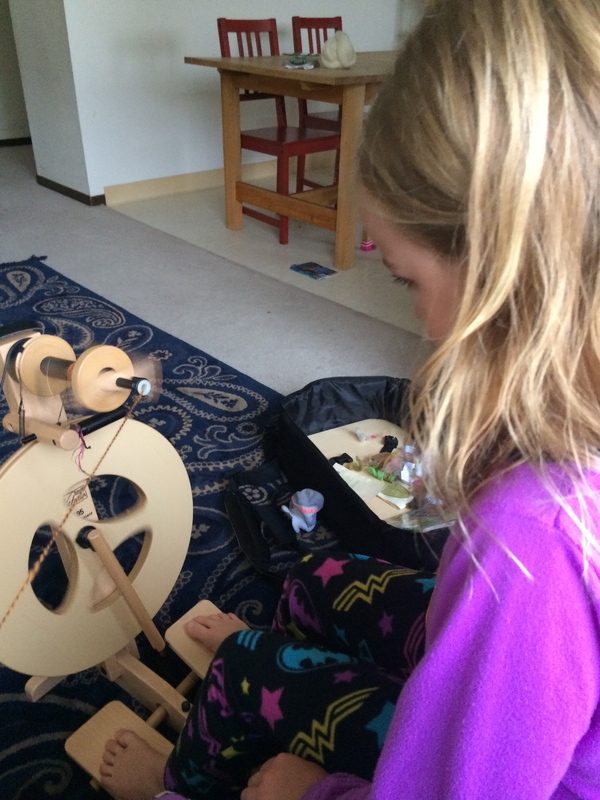 Then she got to feed the yarn onto the bobbin. I’ll show you the Crazy Yarn soon! I didn’t get around to skeining it today…. After we finished the Crazy Yarn, I was able to spin half of my singles, which is amazing, considering that the original bump was almost 8 ounces! 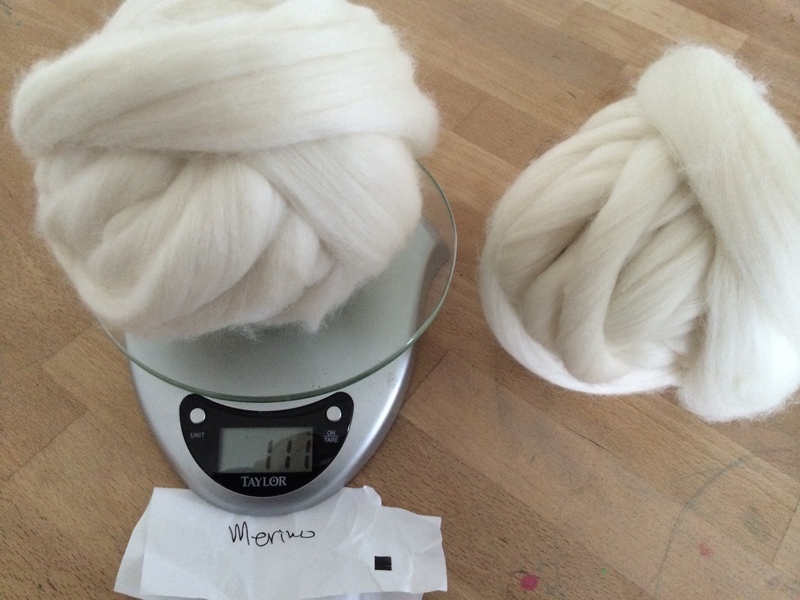 This is where the advice of friends comes in: I talked to a spinning/knitting/sewing friend about not being too excited about this project (nearly 8 ounces of plain white…. ), and she advised me to spin it thicker than I usually do. So that’s what I’m trying to do! Thicker predrafting, some thick and thin areas, and it’s going fast! 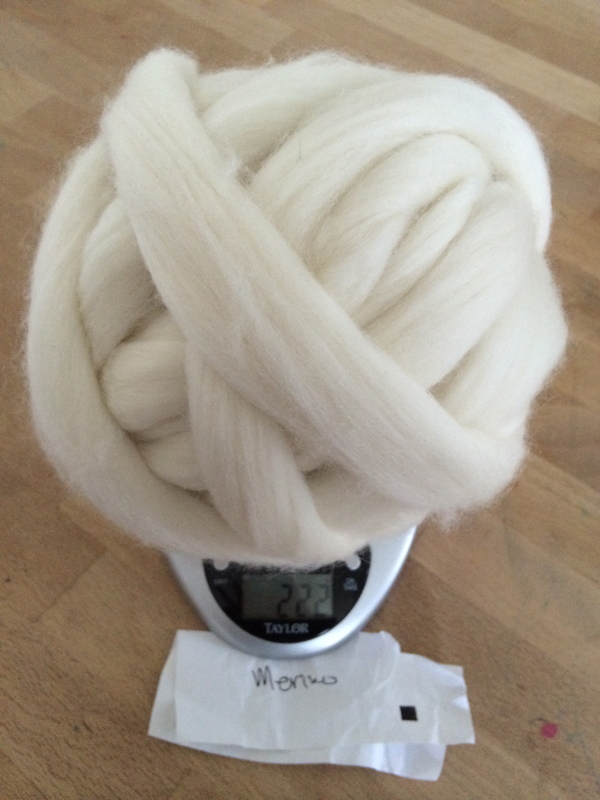 I think it’ll also be nice to end up with a different weight of yarn than I usually spin. Then I get to dye it….? I like that shoot of mum and child feet.